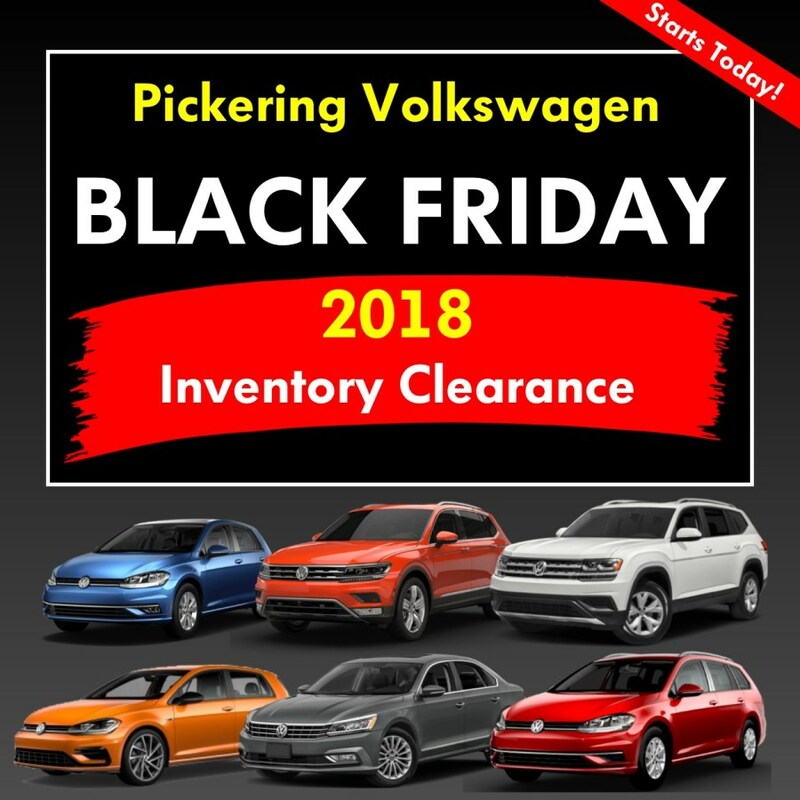 *Ask us about our special priced Black Friday deals on remaining 2018 Volkswagen models. 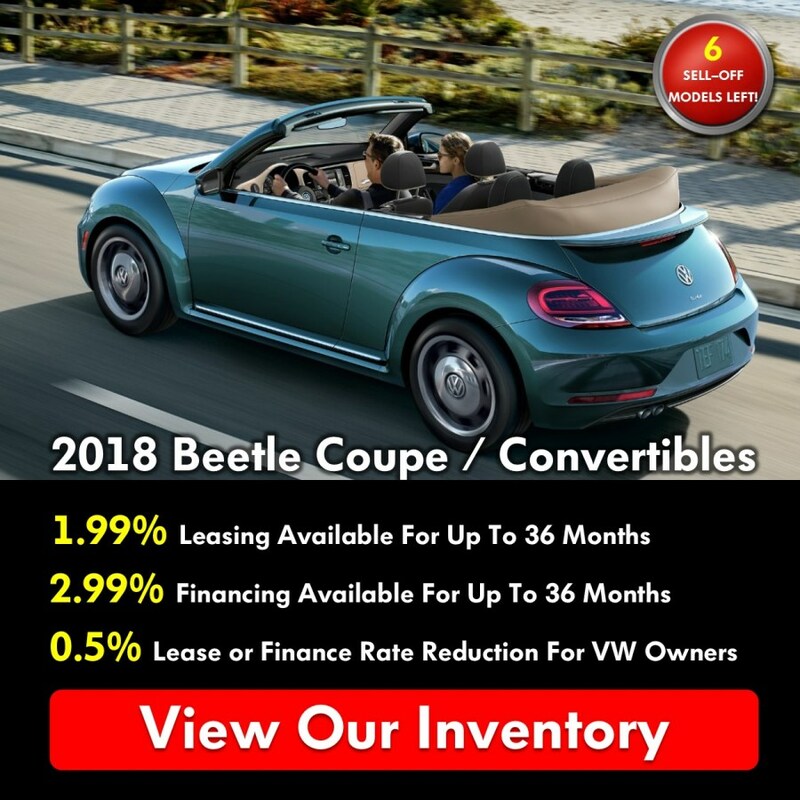 Sale pricing available until Friday November 30th, 2018. 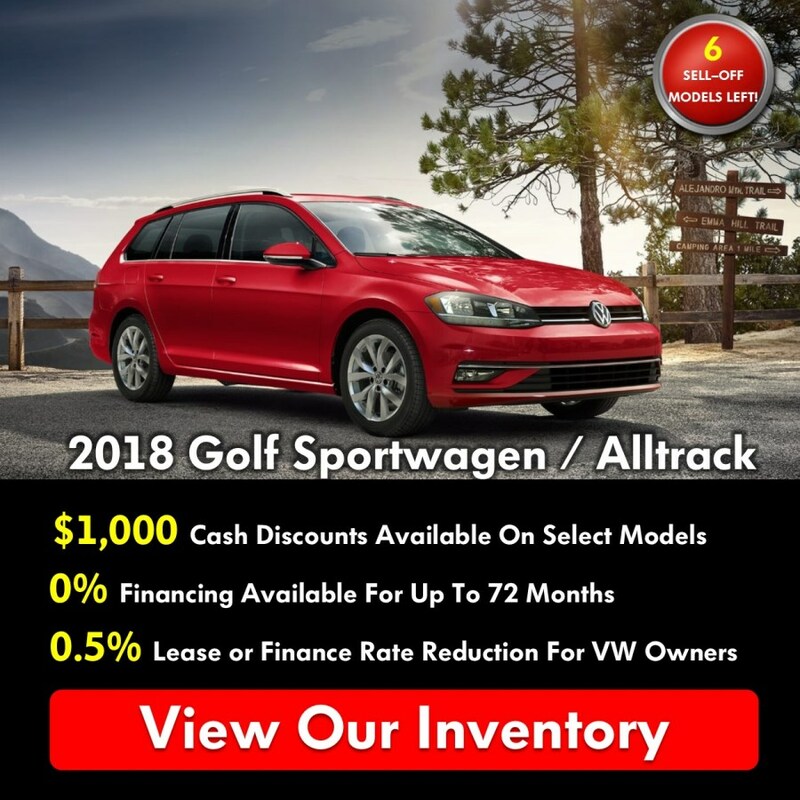 All incentives valid on in-stock units. 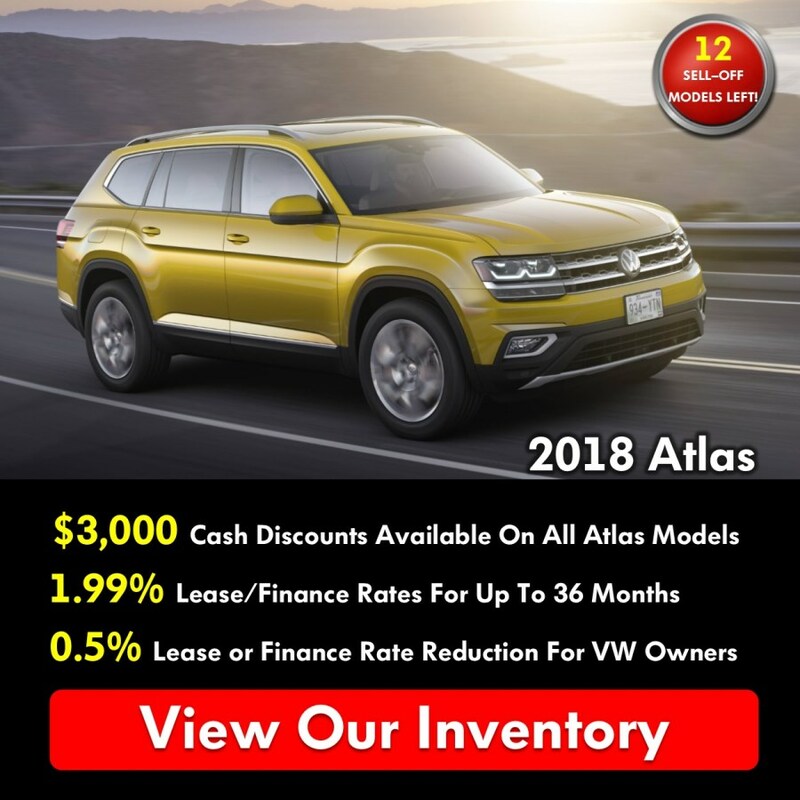 Contact Pickering Volkswagen to learn more about our available 2018-2019 Volkswagen models. 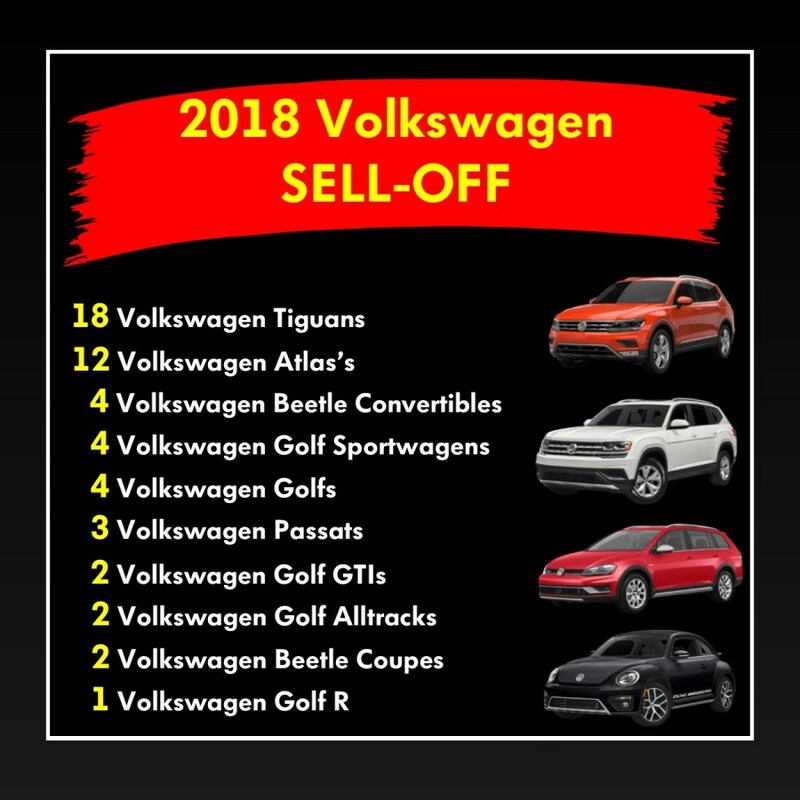 *Vehicle illustrations may not be exactly as shown. 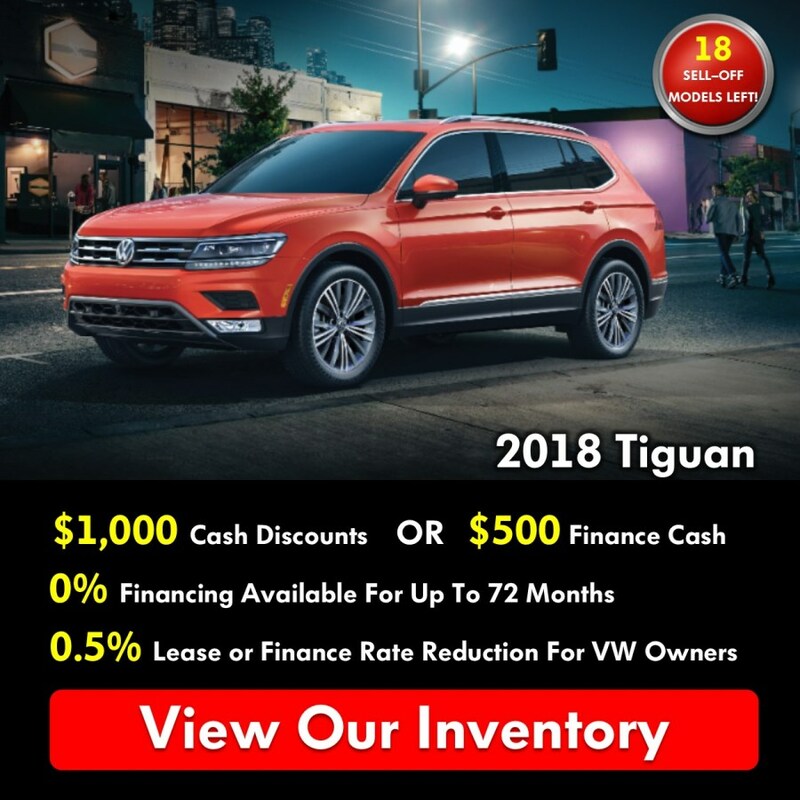 *0% APR financing available on new or unregistered 2018 Volkswagen Tiguan / Golf / Golf GTI / Golf Sportwagen / Golf Alltrack / and Passat models for up to 72 models. 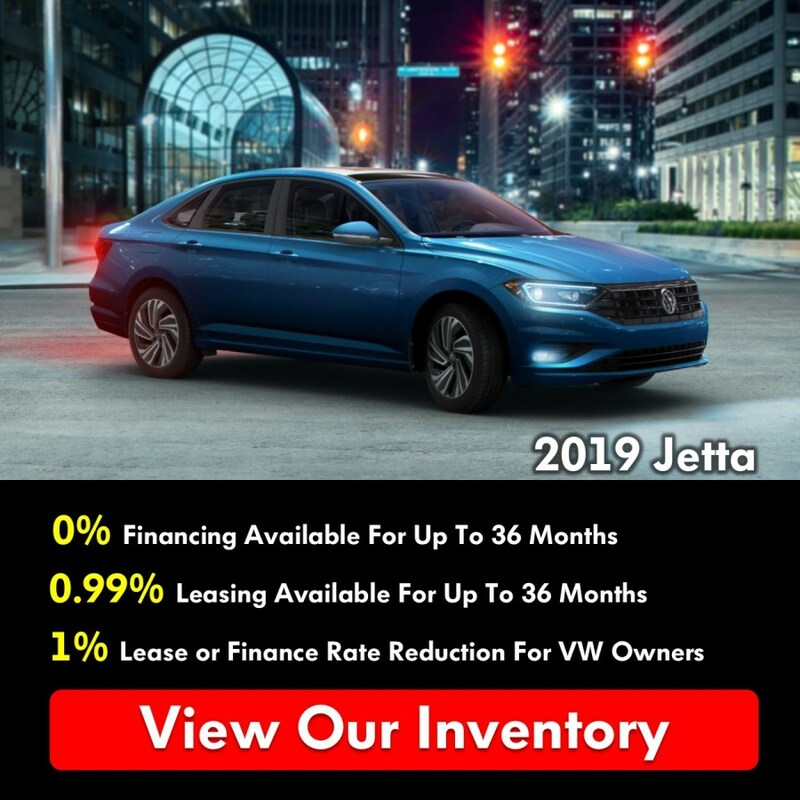 0% APR financing available on new or unregistered 2019 Volkswagen Jetta models for up to 36 months. 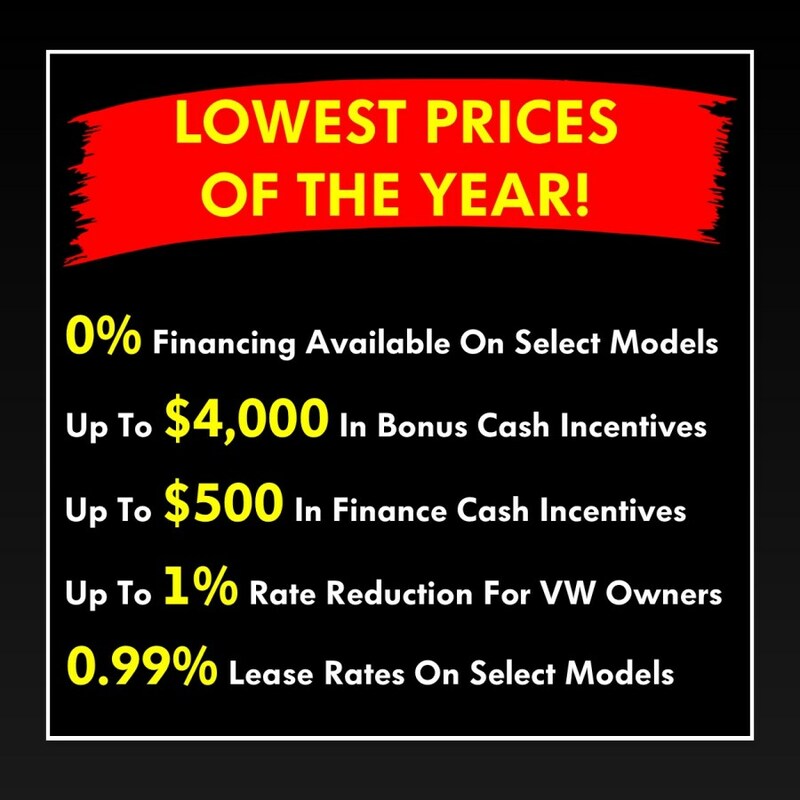 *Up to $4,000 in cash incentives available. 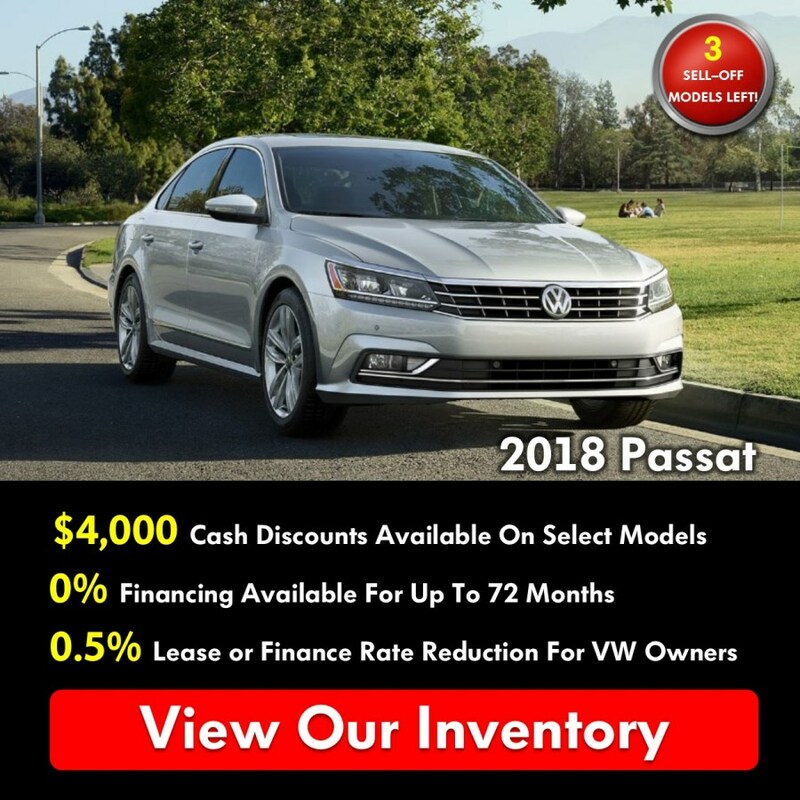 $4,000 cash incentive represent any new or unregistered 2018 Volkswagen Passat models (excluding Trendline+ model). 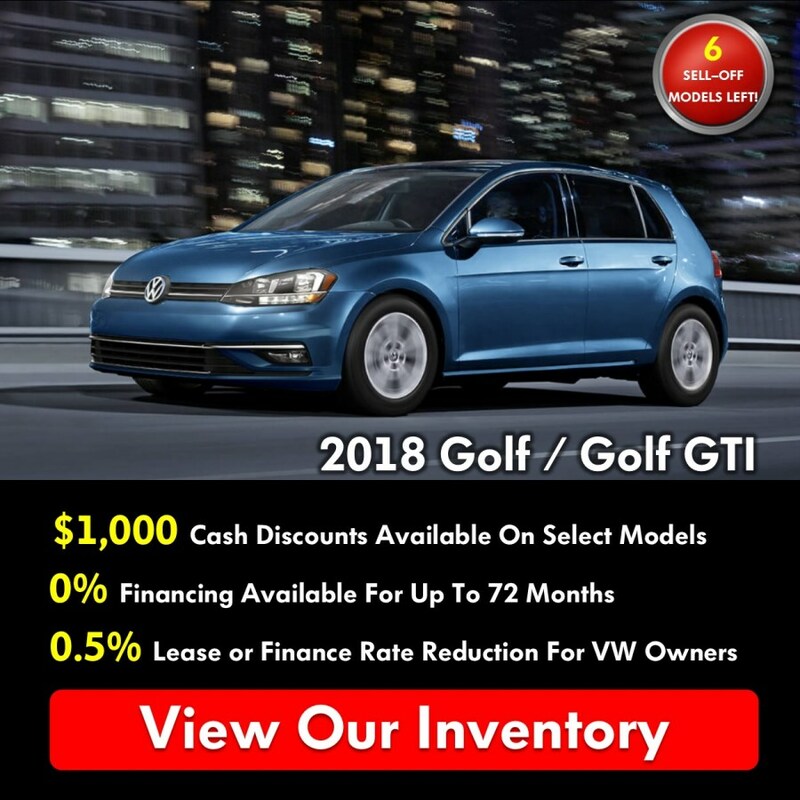 $1,000 cash incentives represent any new or unregistered 2018 Volkswagen Golf Comfortline or Highline models / Golf Sportwagen Trendline FWD or Comfortline FWD models / and any Tiguan 4MOTION AWD models.